Italy, dear Italy. I could write you a never-ending love letter. This country is like an international comfort zone to me – the people are so welcoming, the weather is pleasant, the food is incredibly tasty and everything feels so familiar. 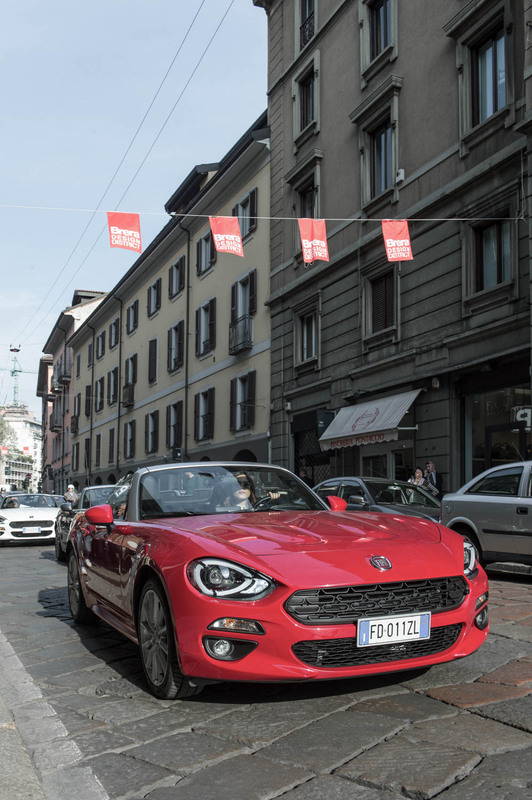 You can guess that I was more than excited to be heading to Milan Design Week with no other than Fiat – we were testing the new Fiat 124 Spider, which is fantastic. 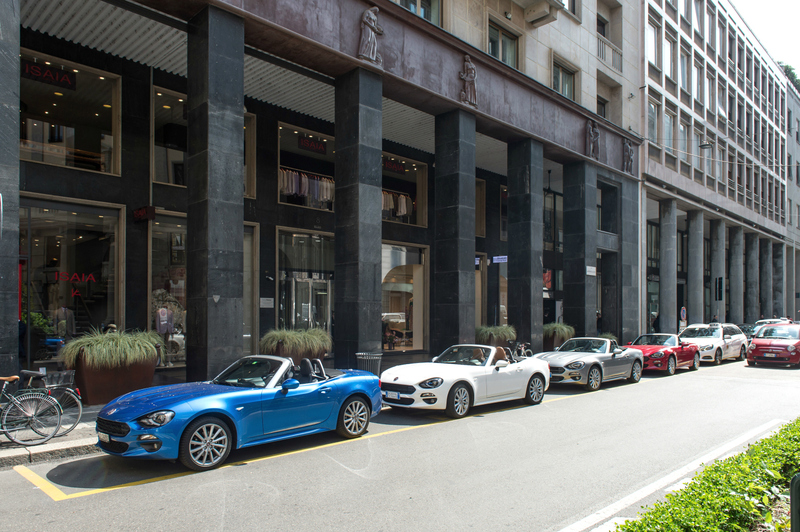 Milan with Fiat, DAY 1. 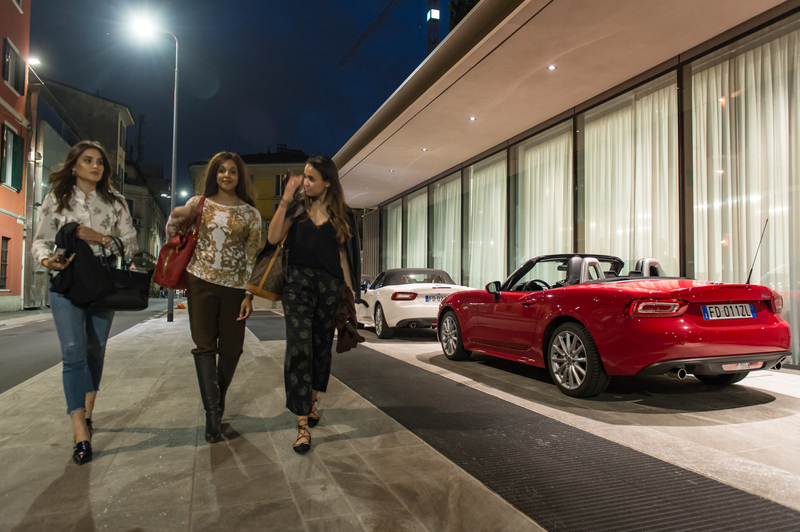 I arrived in Milan with the idea that a chauffeur would bring me everywhere with the genius Fiat 124 Spider. I was wrong with one big detail : the person who was going to drive was… me! 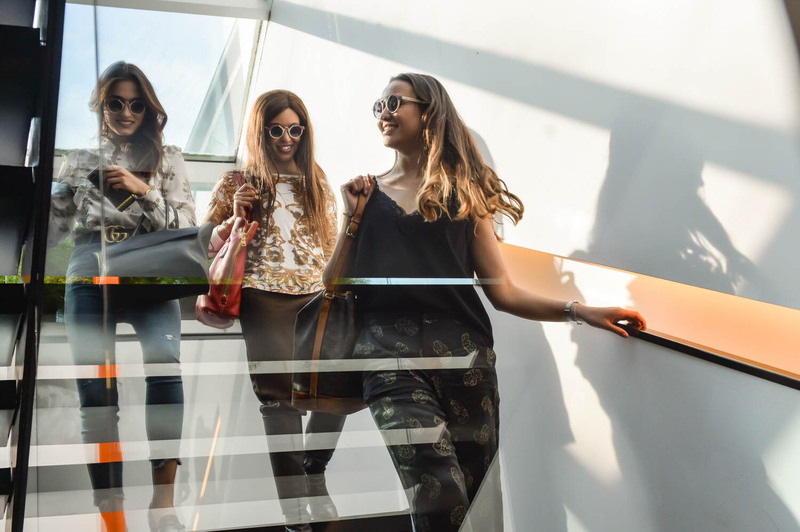 I was so scared about it – everybody knows that Milan is a wild city when it comes to the circulation. 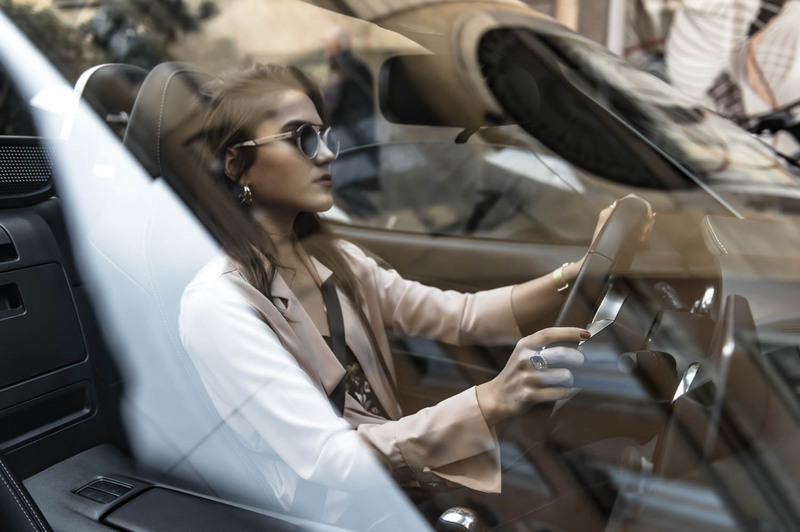 Fortunately, I felt like a pro in my car – it was so easy to drive! We took time to brunch all together (of course, I mean). After these moments with some dreamy mozzarella and pasta, we went to Agape 12, where I discovered the most beautiful bathroom designs I’ve ever seen. 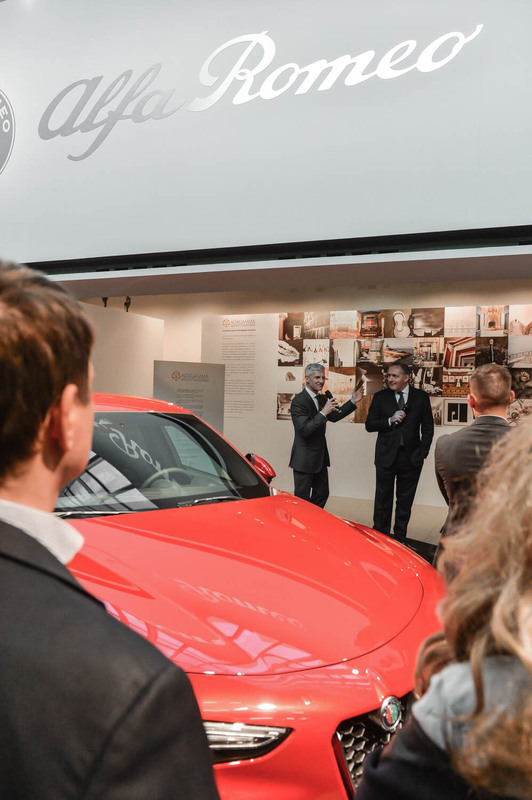 After a day in Brera – Design District Milano, we attended such a big event : Alfa Romeo and Maserati join Altagamma, the foundation that brings together the best Italian luxury companies. 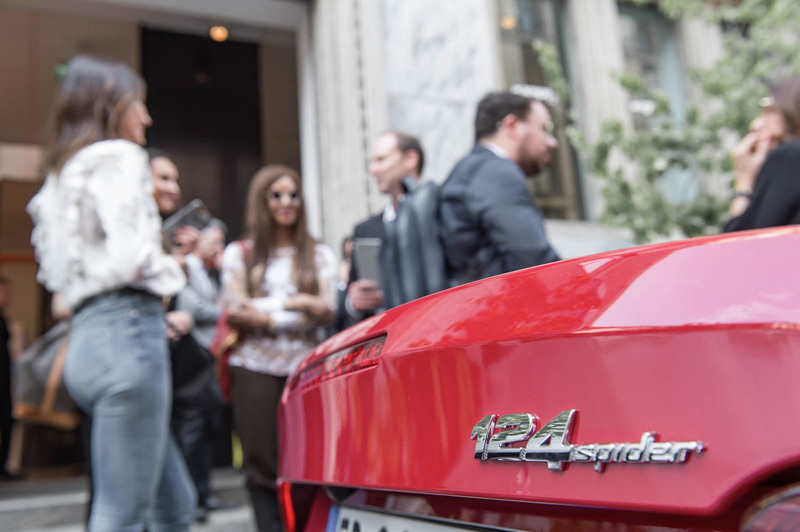 I was simply so impressed with everything I learned about Fiat and cars in general. We finished the night with an excellent dinner at the hotel VIU Milan with the fantastic chef Giancarlo Morelli. 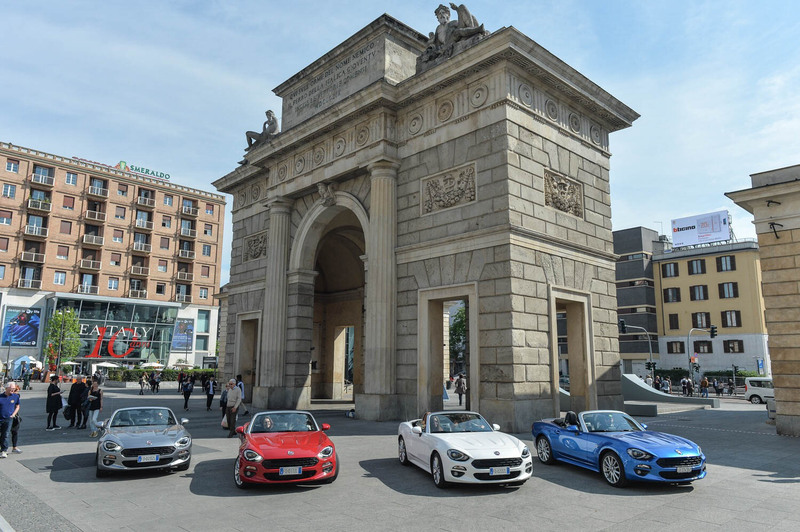 Milan with Fiat, DAY 2. We had a short but very comfy night. 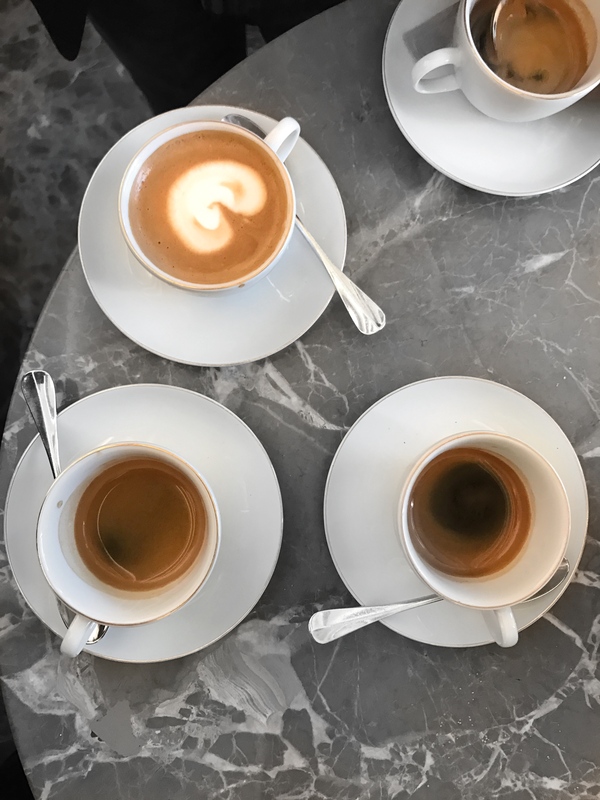 I mean, when you are in Milan, you never feel tired because you want to discover everything, anytime. We woke up in front of a huge, healthy and super yummy breakfast and boom! We were ready for another crazy day. 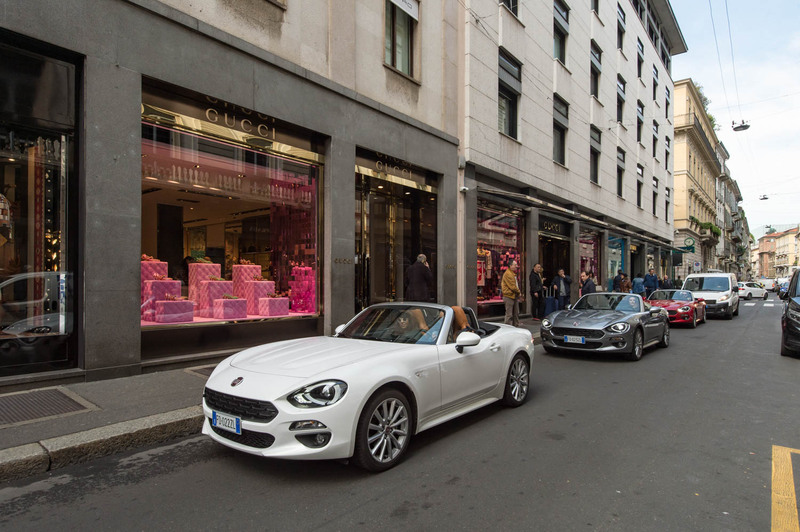 Always with our super cool cars, we visited Milan like stylish tourists, starting by the Prada Foundation, some very cozy coffees and of course, we finished with a shopping session. After two days of discoveries and driving, I can say that I just fell in love with this car. Needless to say she’s absolutely beautiful (literally everybody was looking at us with big impressed eyes), she’s also super comfy and easy to drive. 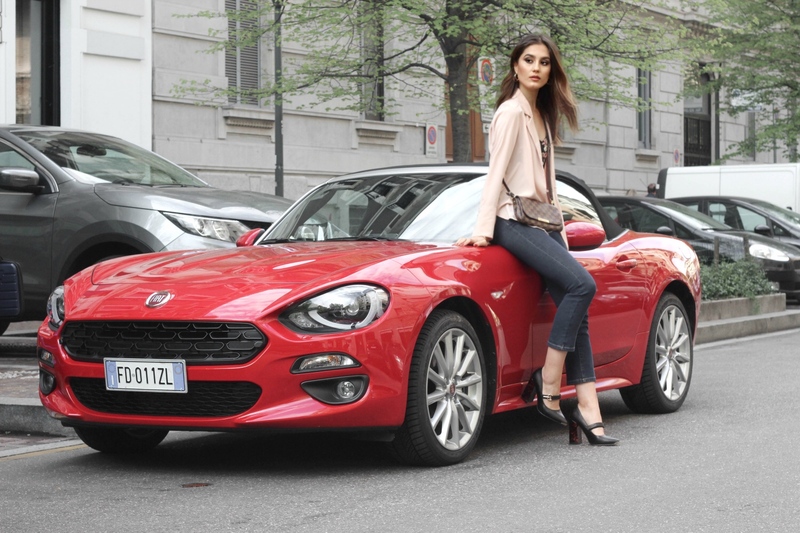 Fiat 124 Spider, that’s a must have for every fashionistas!